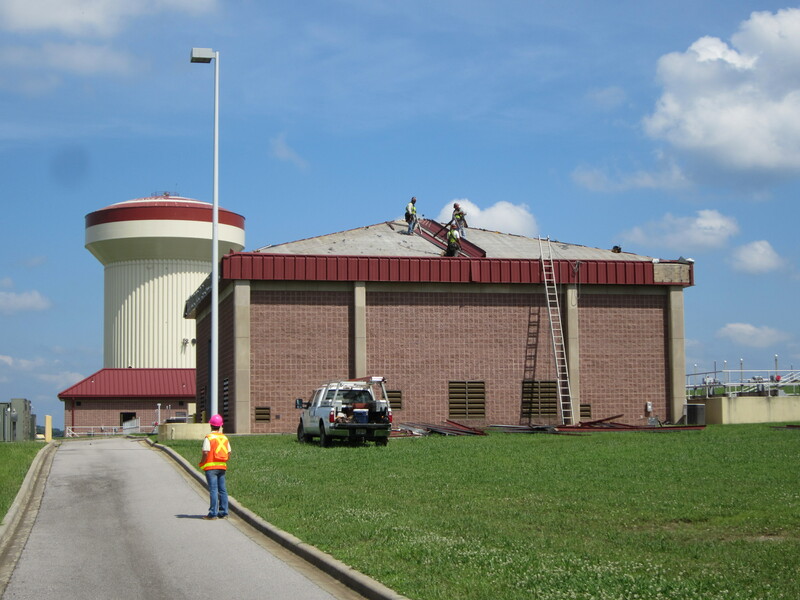 Miscellaneous repairs to four facilities due to damage from tornados of April 27, 2010. Complete removal and replacement of Building 30 roof. Replace damaged water tank vent. Repair concrete base for water cannon at effluent basin. Install lightning loop protection at Building 30.